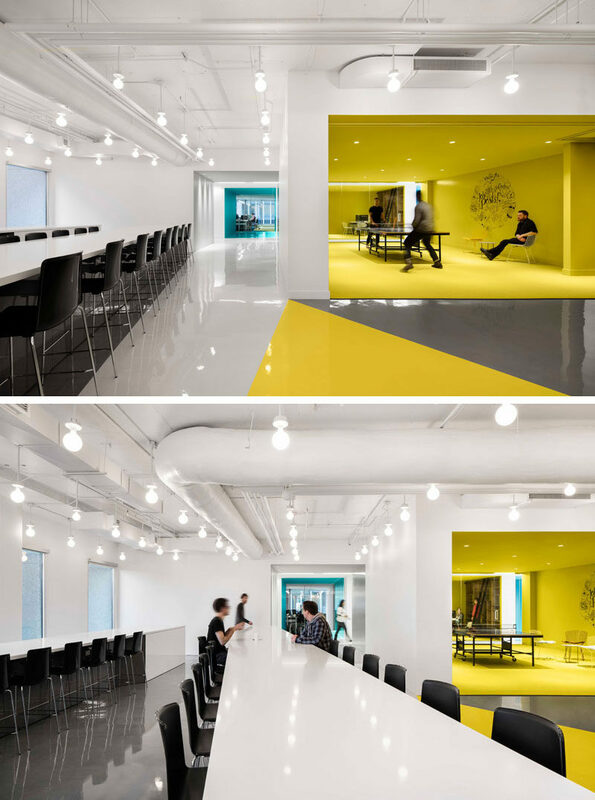 ACDF Architecture have recently completed the bright office interior for Playster, a subscription-based entertainment service company located in Montreal, Canada. 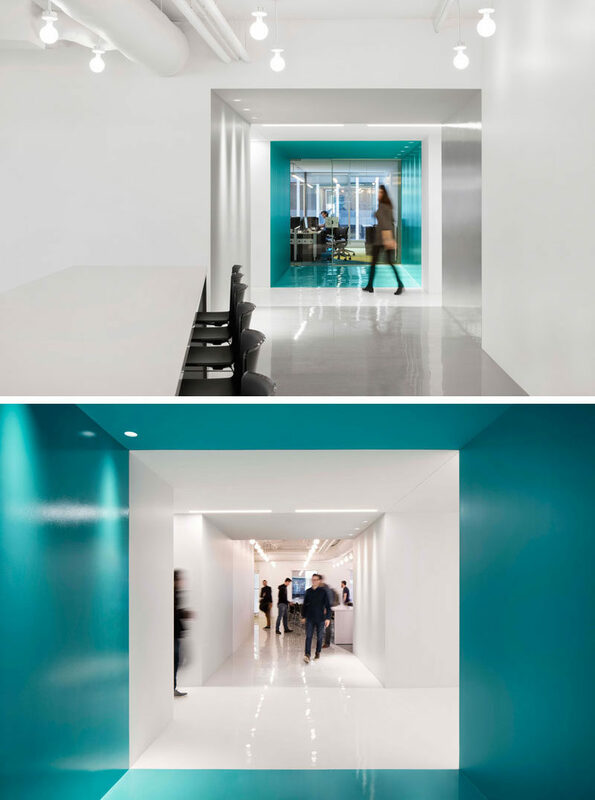 The contemporary and open-concept office design is mostly white, but blocks of color have been used to define various areas throughout the interior. White walls, floors and ceilings have been broken up by blocks of saturated color that are reminiscent of the company’s logo. By using bold colors, the designers have created a strong visual impact and at the same time outline different zones in the office. 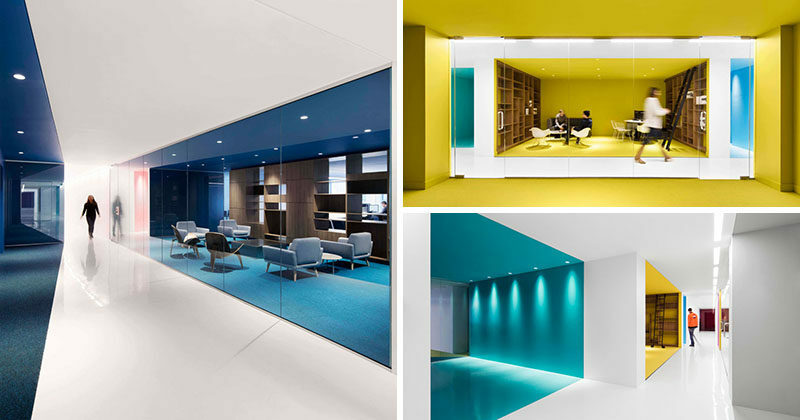 Each team within the workplace and social spaces have their own designated color to highlight the use of that space. 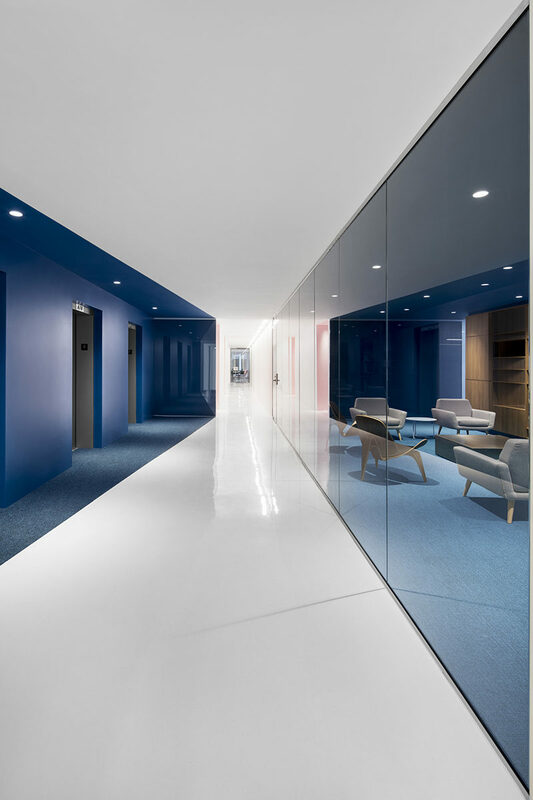 The white corridor featured throughout the office acts as a ‘spine’, connecting meeting rooms and provides the employees with a break from the colored rooms.